Best list of catchy say no to drugs slogans in english. 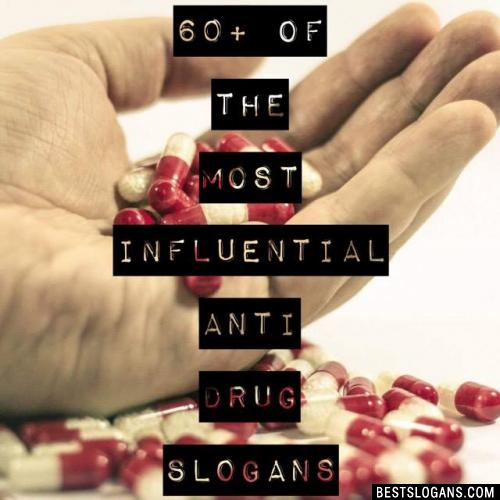 Pictures & posters included of drug free week slogans for kids, teenagers & adults. Inc. drug free mottos, quotes & anti drug sayings. Drug abuse is a major problem in the United States. 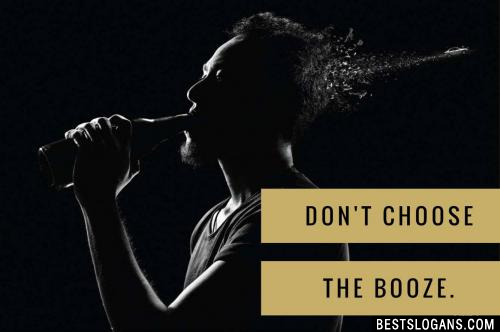 One of the most significant issues concerning drug abuse is the high risk for developing an addiction. 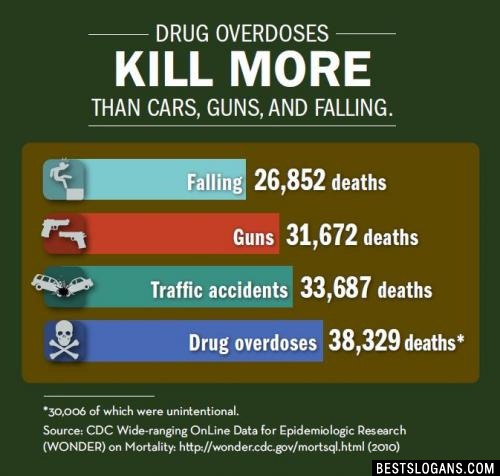 Here are a few facts related to drugs. The best solution is to reach young people with effective, fact-based drug education before they start experimenting with drugs. Here we aim to help bring drug awareness to kids by providing not only education but a great list of catch anti drug slogans. Please join us and help by submitting your own creative drug free slogans and mottos to share with our visitors. Any additional information you can provide is always welcome as well, lets come together with a global anti drug addition campaign. 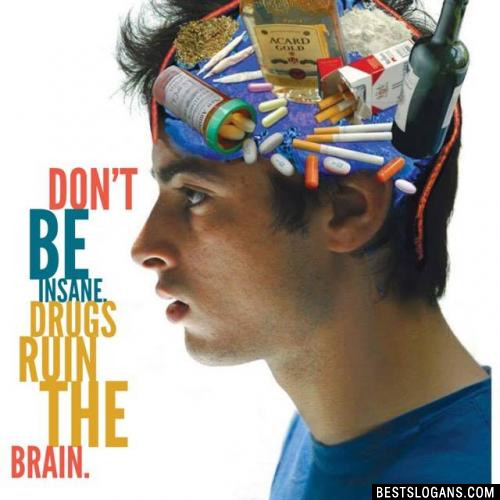 Don't be insane, drugs ruin the brain. 3 If strength and honor is what you seek, drugs only make you weak. 4 If you want your life to be bleak, use drugs that make you weak, and there is no future to seek. 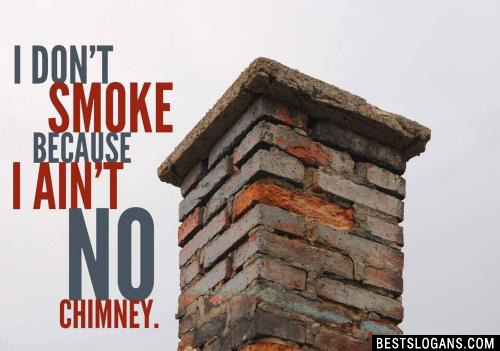 I don't smoke because I ain't no chimney. 6 Drugs are a hole that ruins the soul. 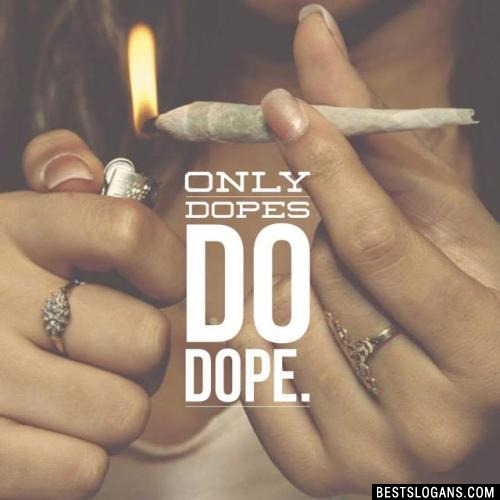 7 Dope is for dummies . 8 You don't need Heroin to be a hero. 9 This is your brain. This is your brain on drugs. Any questions? Stay alive. 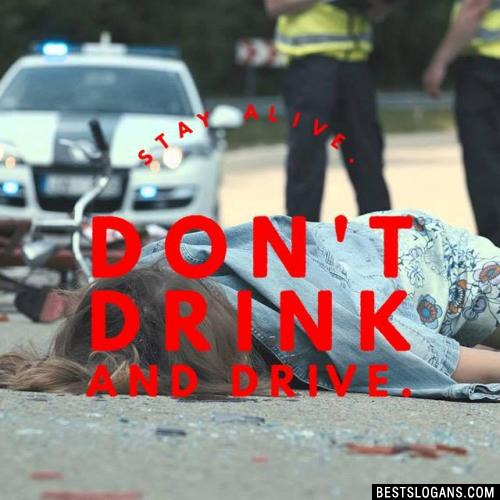 Don't drink and drive. 11 PCP bad for me. 12 Kiss meth mouth goodbye. 13 If you know Jack, you won't smoke crack. 15 There's no intervention, start with prevention. 16 God made the herb to use, not to abuse. 17 I'd rather eat breakfast-in-bed than be called a pothead. 19 I'd rather get bit by a piranha than smoke marijuana. 20 Pot makes your brain rot, so lets not. 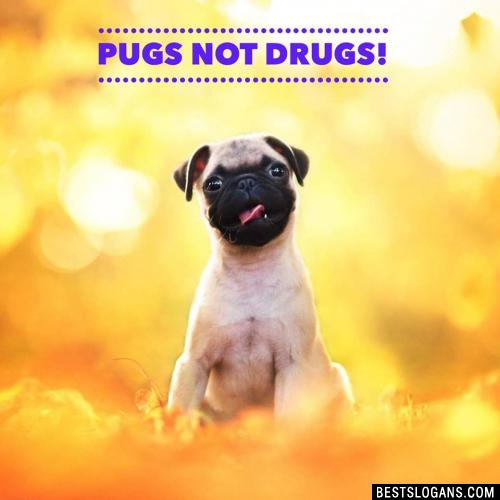 Can you think of a good Anti Drug Slogans we're missing? Or come up with a clever one of your own. Please share below.